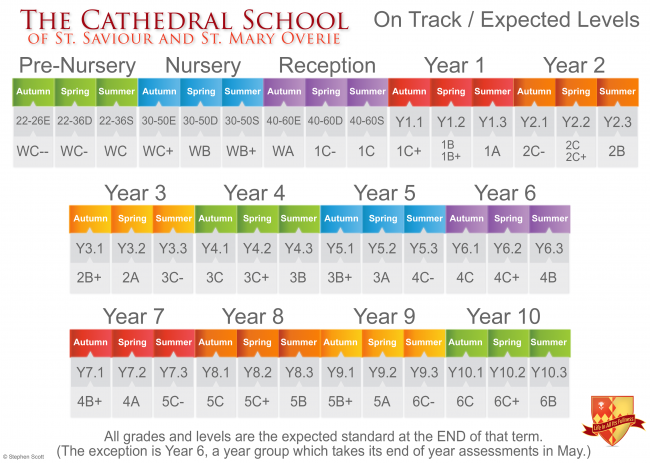 The following assessment information was distributed to parents through the newsletter and enclosed with the Parents’ Evening Review Sheets prior to Parents’ evening in October 2014. In response to parental feedback about assessment, the Parents’ Evening review sheets will be sent out before the evening, instead of being presented in the meetings. Along with the review sheet, will be explanations of some of the assessment scores. This is to allow the conversations with teachers to become a more useful dialogue around how to best support your children, rather than an explanation of different test scores. Senior members of staff will be around in the hall during Parents’ Evening if you require further explanations of these results. Here too, below, are an explanation of the assessment results for your reference. These start at 1C- and, in primary school, continue up to a maximum of 6B. You can see a table at the bottom of this newsletter section linked to Year Group expectations. They are being phased out as there is a new National Curriculum this year for all years except Year 2 and 6. We will, however, still use them for the short-term as there are no proven accurate assessments available as of yet for the new National Curriculum and these old levels still provide a consistent and reliable gauge of ability. 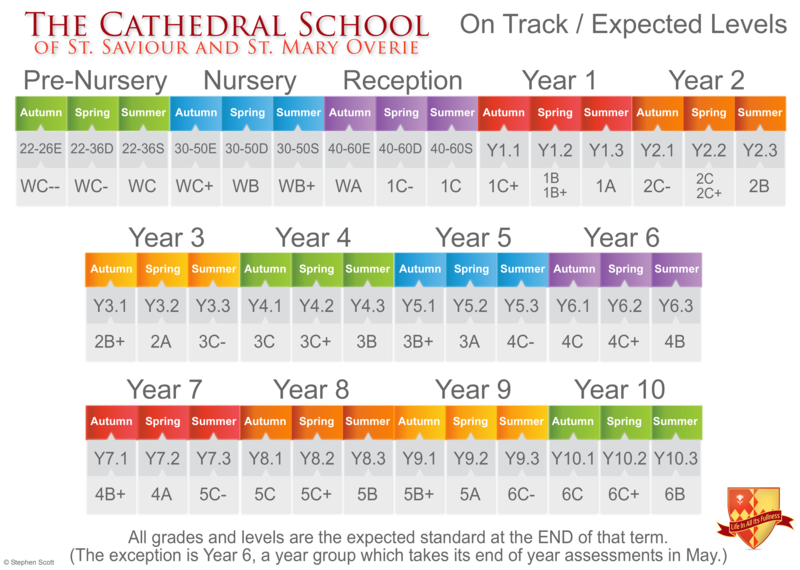 For every year group (Y1 to Y6) there will be three Year Grades (e.g. Y4.1, Y4.2 and Y4.3). 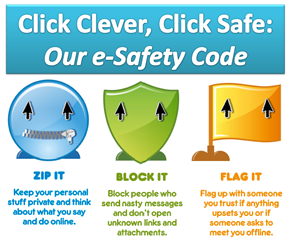 These are also indicated on a table at the bottom of this newsletter section, also linked to Year Group expectations. Hopefully, these will be easier to understand than old National Curriculum levels. A grade of Y5.1 means that approximately one-third of the Y5 objectives for that subject have been met. 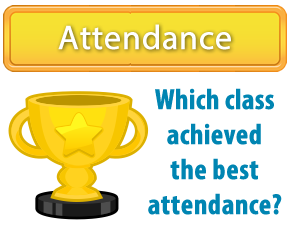 This is the on-track grade for end of autumn term in Y5. With this system we can use terms as a measure of progress. For instance, a child who is achieving Y3.2 at the end of the Year 2 is two terms ahead of age related expectations. These grades will gradually replace the old National Curriculum levels. Test scores are adjusted to take account of their age at the time they take the test. One child taking the test might be born on the first day of the school year (September 1st) while another might be born on the last day (August 31st). Standardised scores are adjusted to make them ‘standard’ for all children, regardless of their age. This score is given in years and months. 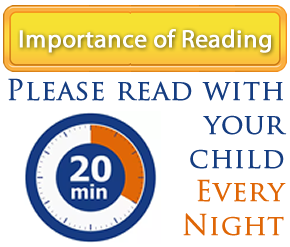 A score of 8:5 (or 8:05) means the pupil reads (and comprehends) at the level of an average child aged 8 years and 2 months. These tests were conducted at the beginning of term, so if your child achieved a reading age of 8:05 and was 7 years and 9 months old at the beginning of term, they are 8 months ahead of ‘average’. Your child may have an addition symbol after the score (e.g. 12+) indicating they reached the top range of that particular test. Some tests such as Grammar and Times Tables are out of varying totals. To put the score in context, a number should follow to indicate the number of possible marks. (E.g. Times Tables/40).